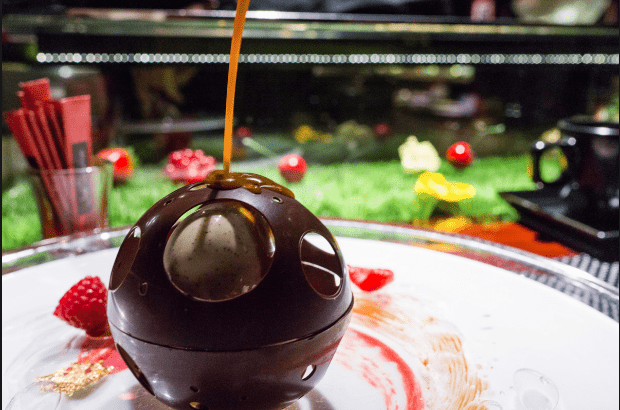 For the first time in his career, Joël Robuchon is launching a chocolate bar at the Metropole Hotel, where he hopes that customers will enjoy healthy tea times. 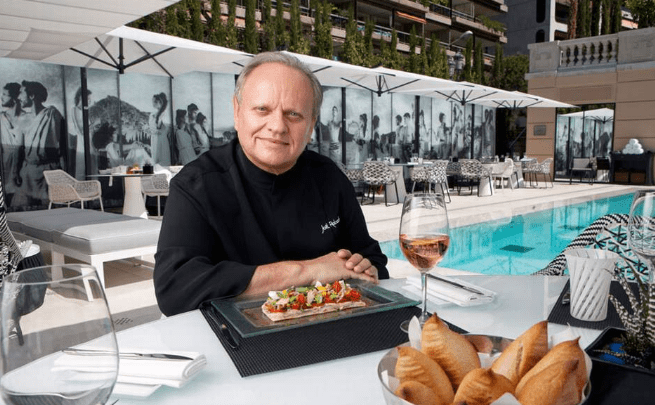 He said: “Four squares of 100% chocolate per day is very good for the heart.” Joel Robuchon is the chef with the most of Michelin stars in the world, and his kitchen is now synonymous with health, well-being and fun. He has been a chef at the Hotel Metropole, Monaco, for almost fifteen years, in which he has already launched three restaurants. Joël Robuchon will launch a chocolate bar in the lobby of the Hotel on the 15th of November. Waiters will push carts ceducining customers with chocolate in all its forms: drinks, creams, pastries, mousses, teas, confectioneries, macaroons and more, made with superb cocoa beans from South America and Africa. – Is a chocolate bar the first one for you in the long list of all the places you’ve opened? – It is indeed the first. Chocolate raises a lot of fascination, happiness, virtue. With the first winter frost, who does not think of drinking a cup of hot chocolate? It corresponds to the expectation of clients at this time of the year. And then there are so many recipes with chocolate. It’s very good for cardiovascular problems and also fights against stress, tension, depression. The more I work, the more people tell me I look rejuvenated, perhaps it’s the effect of chocolate (laughs). – Are you fond of cocoa? – I am indeed, a very large consumer of chocolate. And I love 100% cocoa, which I gradually became accustomed to. At first I began eating it for medical reasons, but only dark chocolate, which should be smooth, shiny and thin. It must break with a snap and burst in the mouth. I advise keeping dark chocolate in a dry place, in an airtight container, because it absorbs outside odours. I encourage people to try to eat 100% cocoa. For example, in our bar we will offer a 100% Cocoa dessert without sugar that can match the expectations of some customers. – Are you taking a health-conscious step in your profession? – The trend has been to reduce the sugar, salt and fat. It shouldn’t stop there. We went to a higher level. We talk about the virtues of olive oil but the best thing is no fat at all to live better and longer. It is a revolution in everything I’ve learned during my career. When I started, I was taught to fix the flavours of fat, but that is no longer the case today. It is possible to make very good fat-free cooking, but you need good products. That said, the dish that made me the most famous is the mashed potatoes with butter (laughs), but raw butter is good for health. In my family, who eat lots of butter, there are some centenarians! – Is the trend for lighter cuisine a global phenomenon? – What we see most in the United States or Singapore for example, is the resurgence of vegetarians among customers. In France, it’s just beginning to happen. When we see such abuse experienced by some animals, we no longer want to eat meat. The kitchen of the future will be increasingly healthy. Throughout my facilities, I demand to integrate antioxidants, such as turmeric into our recipes. I am not a nutritionist, I am not a doctor but I listen to what they tell me. And I work for the welfare of everyone. – In December, we’ll open a place in Montreal. Then two more next spring in New York and Miami. At the end of 2017, we’ll open a gourmet restaurant in New York. And in 2018, a place in Geneva. – You’ve cooked in many restaurants in the United States. During your career have you ever cooked for Donald Trump, who has just been elected president? – No, I’ve never met him, but I heard he’s a great lover of French gastronomy. I also know that he has helped many French cooks to move to New York. I hope that continues!